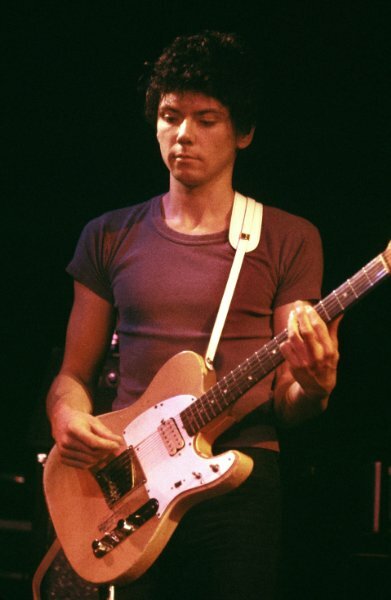 There must be plenty of people out there who dig the Talking Heads who couldn’t tell you the first thing about Jerry Harrison, except that he was the handsome, curly-haired guy who switched off between guitar and keyboards. But that’s OK. Harrison is the music equivalent of a versatile utility baseball player who could play any infield position and maybe even fill in at catcher. He comes off the bench to hit a 2-run double during a World Series that his team wins, and is forever fondly recalled by hometown fans. And so it is sometimes with rock ‘n’ roll. Jerry Harrison was born in Milwaukee in 1949 and moved to the Boston area to study architecture at Harvard. There he met Danny Fields and the journalist and future punk impresario introduced him to Jonathan Richman. He joined Richman’s group the Modern Lovers in 1971 and played keys on their seminal debut album (recorded the next year but not released until ’76). After Jonathan turned to a quieter and more naïve performing style, Jerry left but the legacy of that first record—with its streetwise but brainy aesthetic—was not lost on the groups in the emerging New York scene centered around CBGBs. When the Talking Heads, then a trio with singer-guitarist David Byrne and the husband-wife rhythm section of Tina Weymouth and Chris Frantz, were looking for a fourth member to fill out their sound, Harrison was recommended to them by mutual acquaintance Andy Paley. He went to New York to meet the band and audition and they were impressed with his versatility. Harrison, in a move sure to be appreciated by parents everywhere, agreed to join the group so long as he could finish his last semester at Harvard. The Heads’ success, with Harrison as the group’s valuable middle man, is well known. But when tensions between dominant frontman Byrne and the Weymouth-Frantz axis came to a head in the late 80s, the group went on a long-term hiatus, before officially breaking up in 1991. 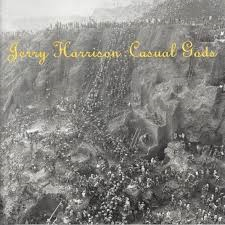 Harrison didn’t waste much time getting in the solo game, releasing “Casual Gods” in 1988, the same year as the Heads’ last studio album. Jerry had also put out a solo disc in 1981 (“The Red and the Black”) but with the band’s future in doubt, this perhaps was made with more of a sense of urgency to it. From the opener “Rev it Up” you get the sense of a consummate pro at work. Led by Harrison’s signature trebly, funky rhythm guitar, the song is a suave booty-shaker that is not dissimilar to his old band in the “Stop Making Sense” period. Certainly, the overall sound, with the glossy production values and world-music overlay, is of its time but in a good way. Harrison has a nice mid-range voice even if he is not the most expressive of vocalists. And while as a lyricist he is not as willfully eccentric as David Byrne (few are) he can be just as striking upon closer inspection (“I feel there’s a time coming when we are all angels… a time when nothing will be new”). The standout track of “Casual Gods” has got to be “Man With a Gun” an ineffably touching tune about the mysteries of love that also comes with a stylish video. “Casual Gods” was an impressive album (even if it did get a little samey towards the end of side two) and seemed to promise that there would be more to come. There was a follow-up album a couple of years later (“Walk on Water”) but that was his last solo effort to date. As is the case with many of the musicians profiled in this series, some people are just born to supporting roles. While watching the “Stop Making Sense” concert film, for instance, it’s a little hard to imagine a low-key dude like Jerry Harrison climbing into that giant white suit to claim the spotlight like David Byrne does so memorably. We all have our roles to play and for Jerry it would mostly be as producer or in-house player, working with the Violent Femmes, General Public, Crash Test Dummies, the BoDeans, Black 47 and many others. And say what you will about the Rock & Roll Hall of Fame, at least it gets warring bands back together one more time and for the Talking Heads it happened in 2002, with Jerry looking just as boyish as ever.